Today, boxer laureate and Filipino national treasure Senator Manny “Pacman” Pacquiao (60-7-2, 39 KOs), boxing’s only eight-division world champion, woke up at dawn for his final day of training camp and greeted the opening day of another fight week for the 70th time, with 26 of them at the world championship level. 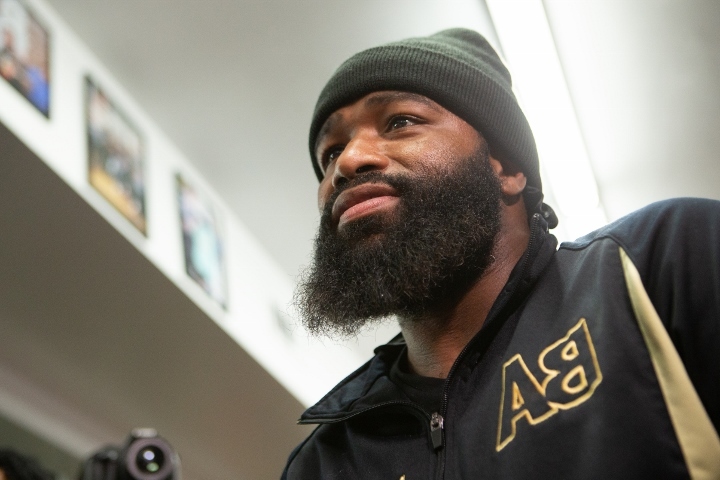 This Saturday, at the MGM Grand Garden Arena in Las Vegas, Nevada, the defending WBA welterweight champion will end his 26-month hiatus from a U.S. boxing ring and rumble with Cincinnati’s Adrien “The Problem” Broner (33-3-1, 24 KOs), an athlete 11 years his junior who has held world titles in four different weight classes. Presented by Premier Boxing Champions, the Pacquiao vs. Broner WBA welterweight world championship event will be produced and distributed live by SHOWTIME PPV® beginning at 9 p.m. ET / 6 p.m. PT. “On Saturday night, Manny will prove that life begins at 40. It’s not just his age, but also the number of times he will have won a fight by knockout. I’m definitely playing that number in Las Vegas,” said Hall of Fame trainer world-famous Freddie Roach.